Sometimes we all need a bit of a break from the hot oven, right? Especially during the summer. Or maybe you’re in a time crunch, but need to produce a delicious dessert. Well, this cake will come to your rescue! You need ONLY 3 ingredients! No baking required. 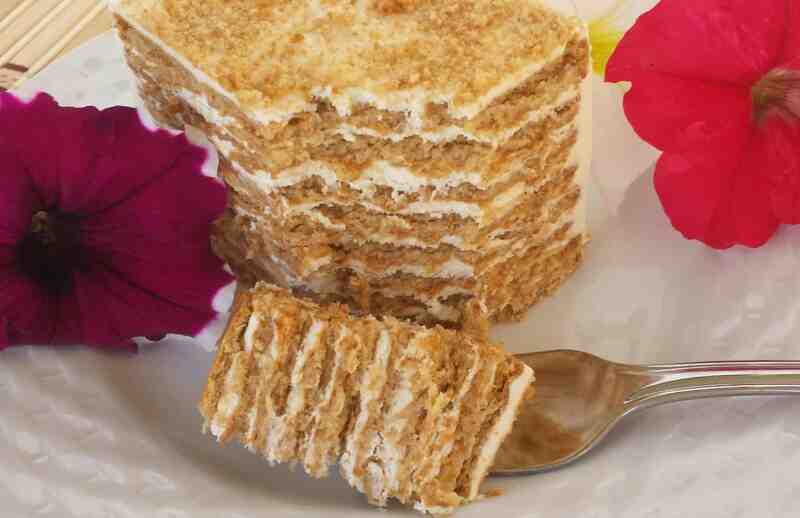 It is so easy, that most young teens can make this cake with no hiccups. 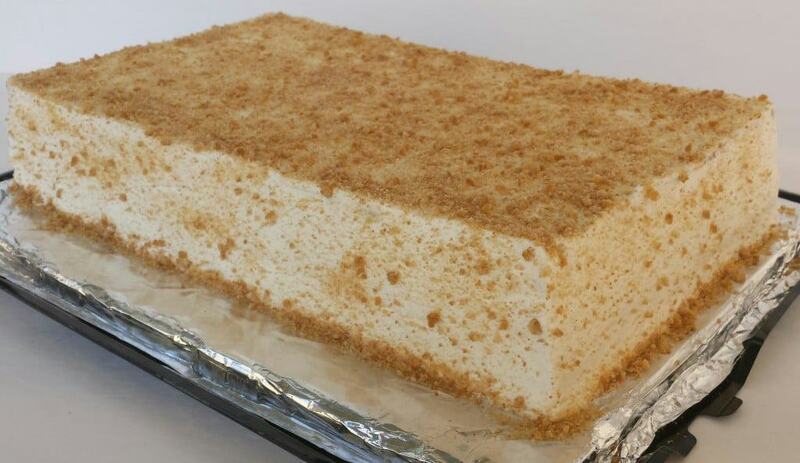 It is super moist if made with Honey Maid brand graham crackers. 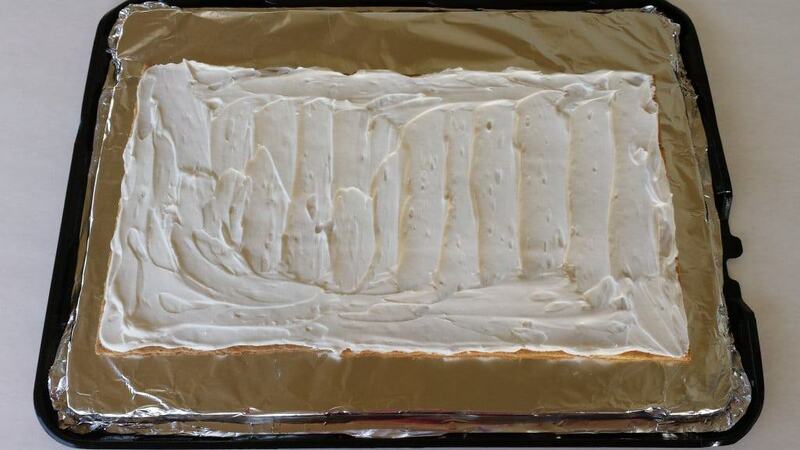 I like it a little less moist, and a little cheaper, so usually, I make this cake out of Wal*Mart’s Great Value brand. It’s a little drier, but it depends on how you like it. 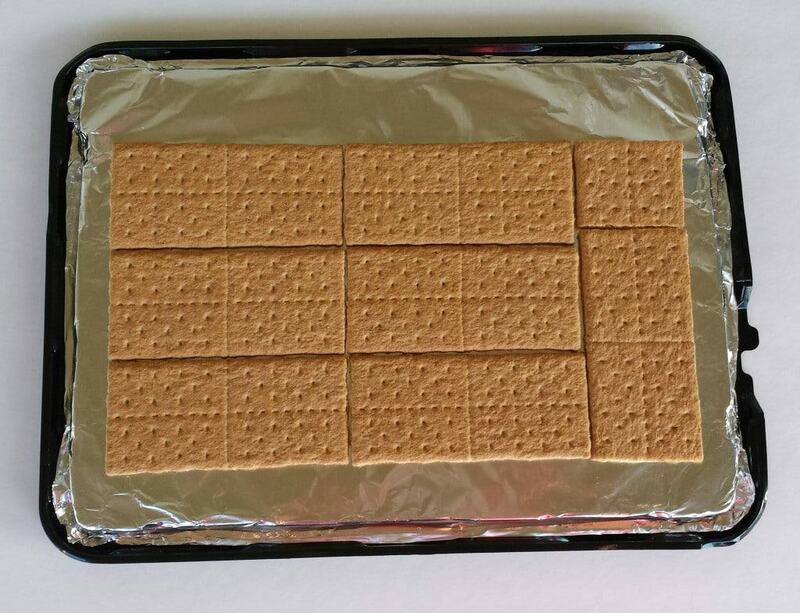 You can try making it from any brand or other flavors such as Cinnamon Graham’s or original Graham Crackers. Let me know what type and flavor of crackers you like best. 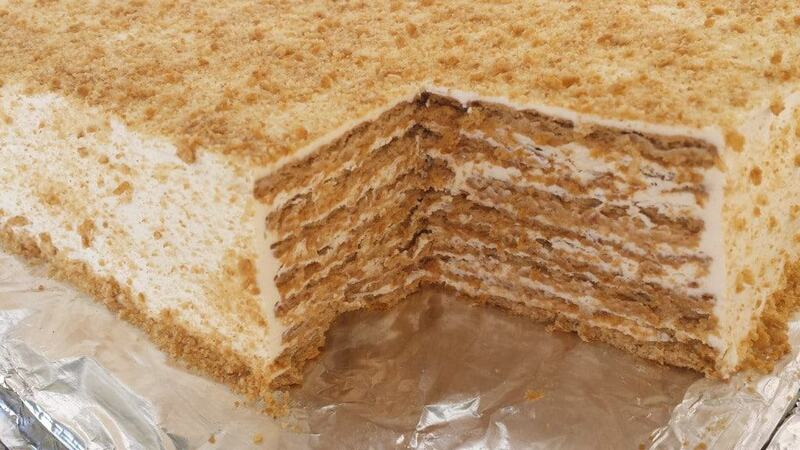 This cake is unique but incredibly tasty, soft and mouthwatering. You will be making it again and again…. I bought this form from Safeway Bakery for a couple of bucks and keep reusing it when making the cake for family at home. Its very light. 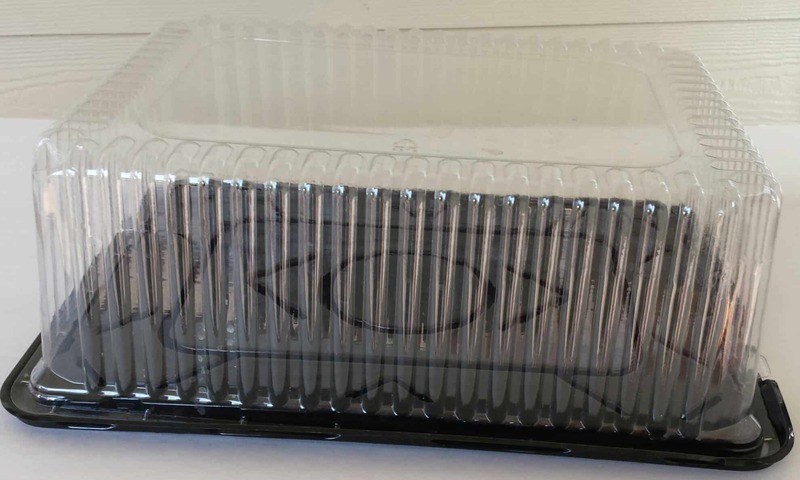 If you have a square cake holder or caddy with cover you are welcome to use it, just keep in mind the cover height if your cake stacks tall. 1.) 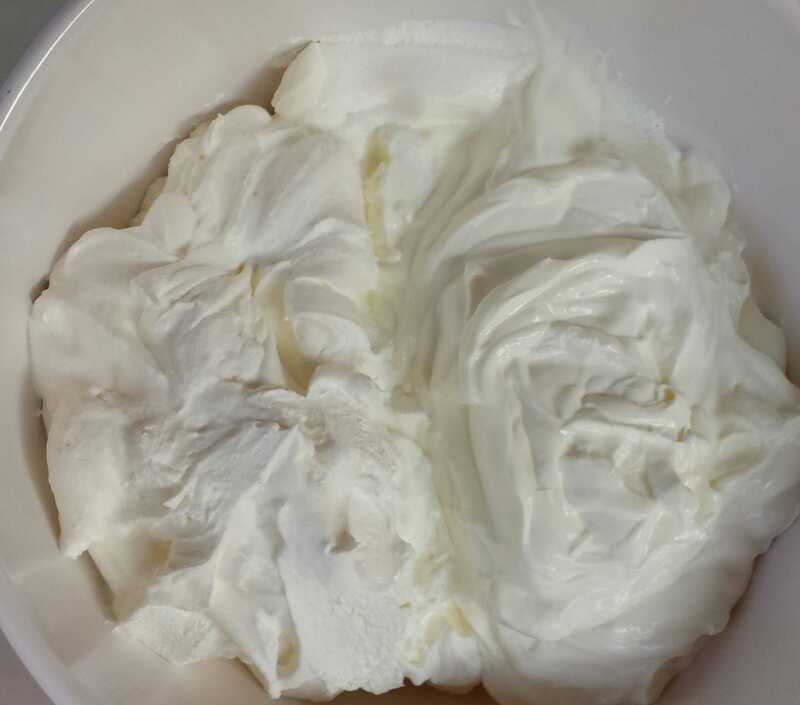 In a medium bowl add sour cream and cool whip. 2.) Mix on high speed for 5 minutes. 2.) 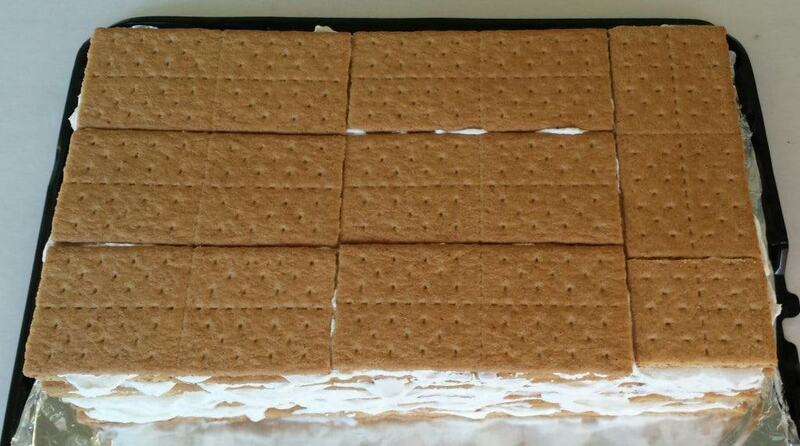 Put 1.5 cups of cream on top of each layer of crackers. 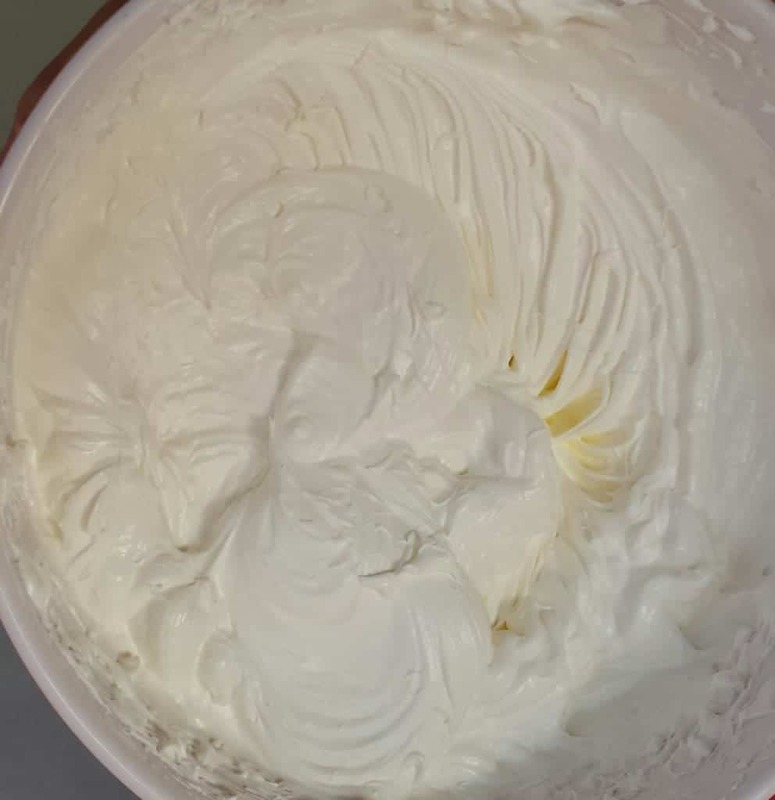 You may add more or less cream depending on how you like it. 3.) Spread the cream evenly. 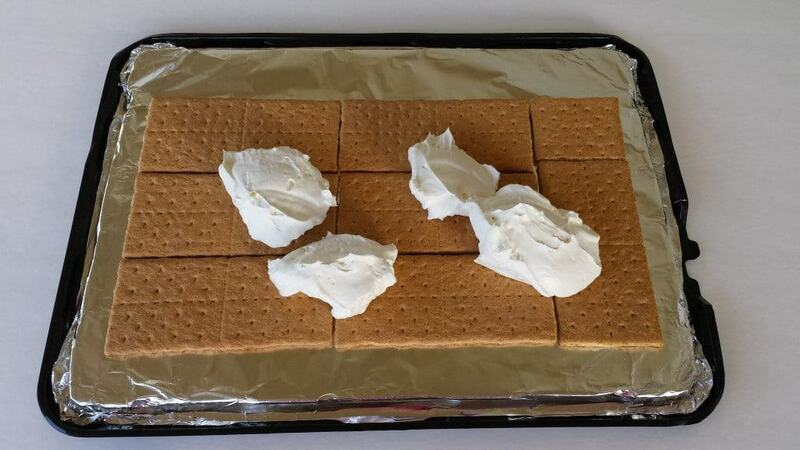 Its a bit tricky to spread cream on the first layer, because crackers stick to the spatula. 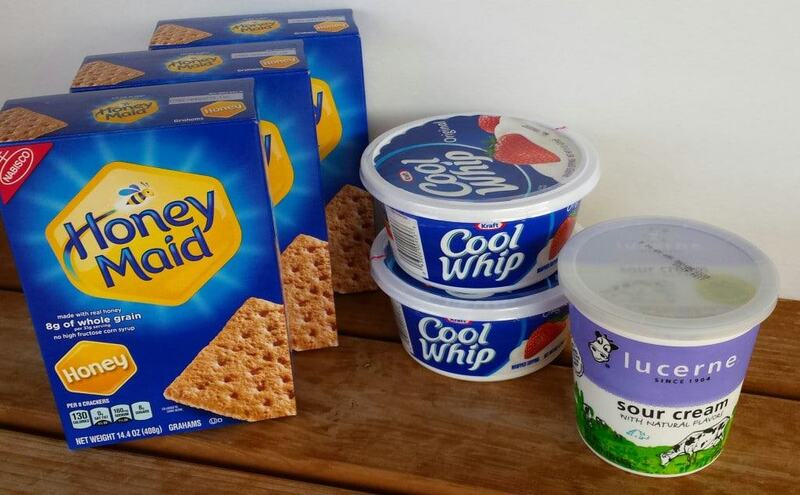 Spread the cream by holding down the crackers. 4.) Repeat steps 1-3 until you have about 2-3 cups of cream left to cover the outside of the cake. 6.) 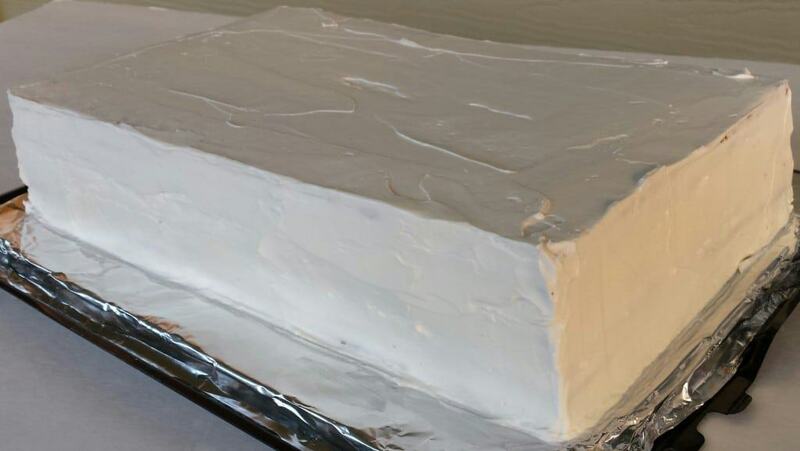 Spread the rest of the cream on top and sides of the cake. 7.) Crush the cut off pieces and leftover cracker crumbs from the packs. 8.) 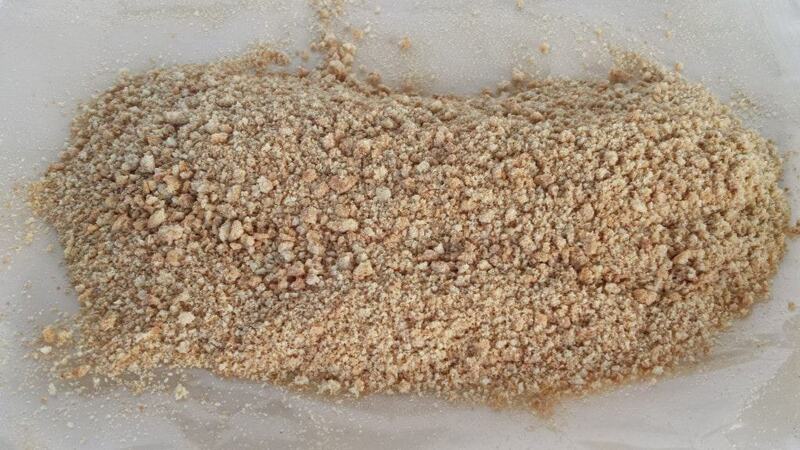 Sprinkle cake with the crushed crumbs. Cover, and let it sit for 6 hrs or overnight (for best results) so the cake softens thoroughly. 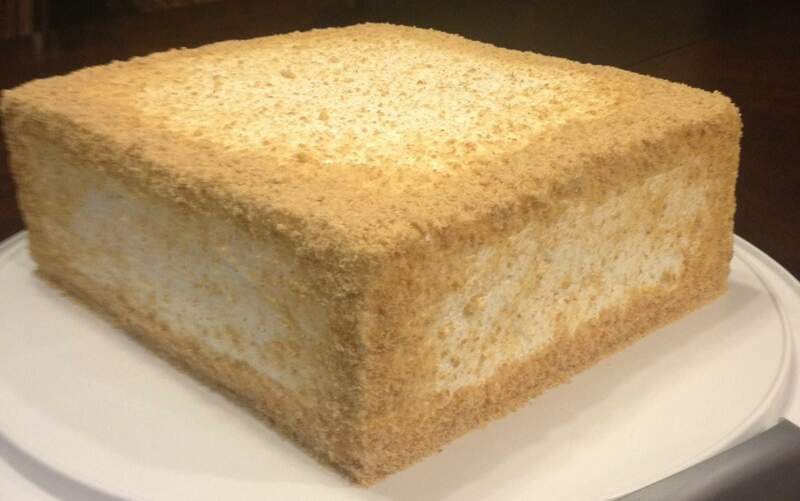 You will be surprised at how soft this cake will be compared to the hard and crunchy crackers you were just layering. Just another idea how to assemble this delicious cake. My sister shared this picture with me and the way she spreads the crumbs. 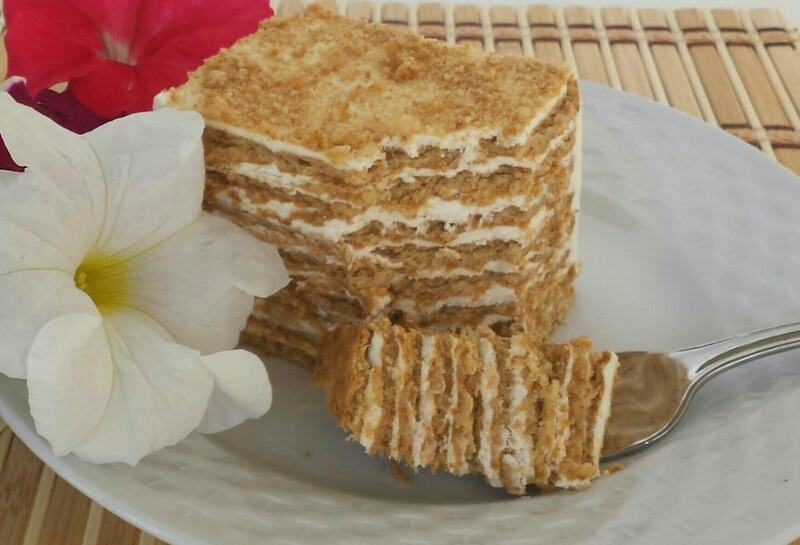 If you make this No Bake Honey Graham Cracker Cake Recipe please share a picture with me on Snapchat, Facebook, Instagram or Pinterest. Tag with #valyastasteofhome. I’d love to see your creations! ? After assembling refrigerate for 6 hours for the crackers to soften. I hope this helps. Thank you Valya for the recipe! It was super easy to make and turned out very delicious ! Looks very much like a medovik but without the need to slave in the kitchen for two hours. Does this taste like it? I would like to make this cake but just for my husband and I. Can I half the recipe? Yes, of course! Just divide all the ingredients in half. Enjoy! Hi, Valya. I have not made this cake yet but I love that you don’t have any sugar in the frosting. It looks amazing and sounds really easy, even compared to some other no-bake graham cracker recipes.Thank you for your blog. I will be coming back for more recipes. Hello, Valya. Just came across your blog through pinterest. This is amazing, wbere was I before? I also grew up with some of these great meals but like others said my mother always eyeballed things and didnt have any sense of teaching me when I asked. I have 5 children young children now and this blog has come in handy this weekend when we were expecting company. 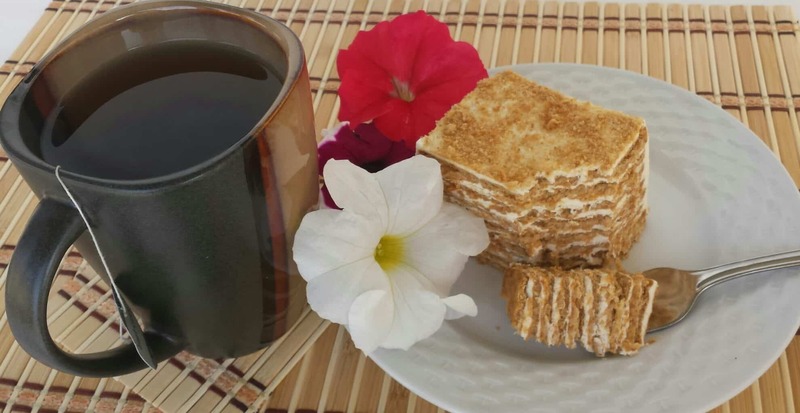 It would be so awesome to meet you in person if only you lived on the northwest side of Washington 🙂 Do you have this particular recipe in an easy to print format (print now). I am not seeing it like the other ones. Thank you again. I have so many tabs open, just have to decide what we will do next. I love sweets and baked stuff but do it so rarely since I always have at least 2 or 3 helpers in the kitchen with me at all times it seems.